“Time, she is a fast old train. When Brookside opened it was a typical monumental style cemetery, meaning the headstones and other monuments made of granite, marble or other materials were placed vertically above ground. These can be seen near the Chapel of Chimes where the oldest graves are located. As time passed and the expense of maintaining graveyards increased, management changed the properties into garden style cemeteries that have all markers at ground level. Among other things this allows the maintenance crews to use lawn mowers to keep the grass under control. While this makes economic sense, to us it also results in a rather boring landscape. At Brookside, management improved the park by adding gardens and sculptures on the grounds. The property also contains a number of massive old oak trees. Originally, this site was the James Berry farm. Berry (1809-1876) came to Texas from Kentucky in 1836. He was given a commission as a first lieutenant in the Republic of Texas Army by President Sam Houston. Berry served in Company I, First Regiment of Infantry until 1838. Active in politics, he was Justice of the Peace for Harris County (1840-53), County Treasurer (1854-7) and Civilian Director during the War Between the States (1861-5.) Berry died in a wagon accident and was buried in the family cemetery on the farm. The nearby Berry Road is named for him. 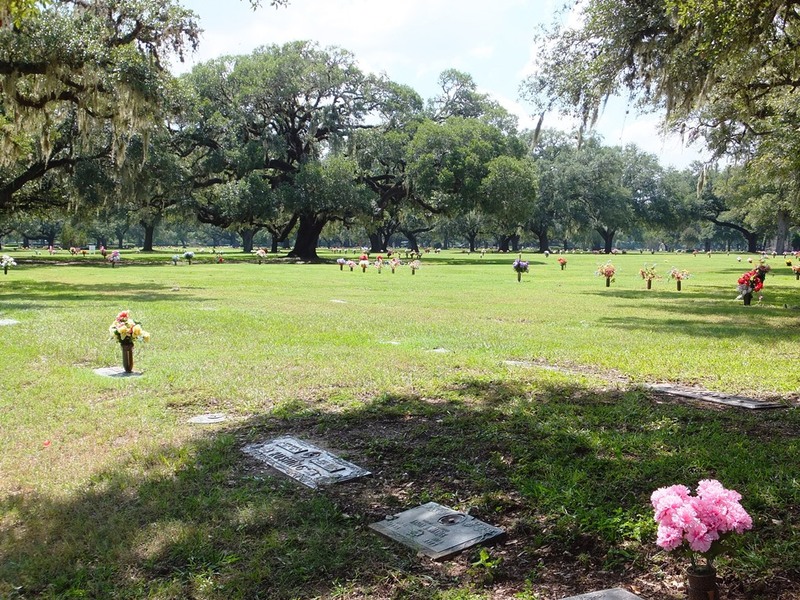 In 1931 Ira Brooks purchased the 140 acre farm and incorporated it as a cemetery. His surname was used in naming the property. American architect Bruce Goff, famous for his organic architectural style (promoting harmony between nature and human habitation) did the original plans for Brookside. For unknown reasons Goff’s drawings were never implemented in the final construction of the property. 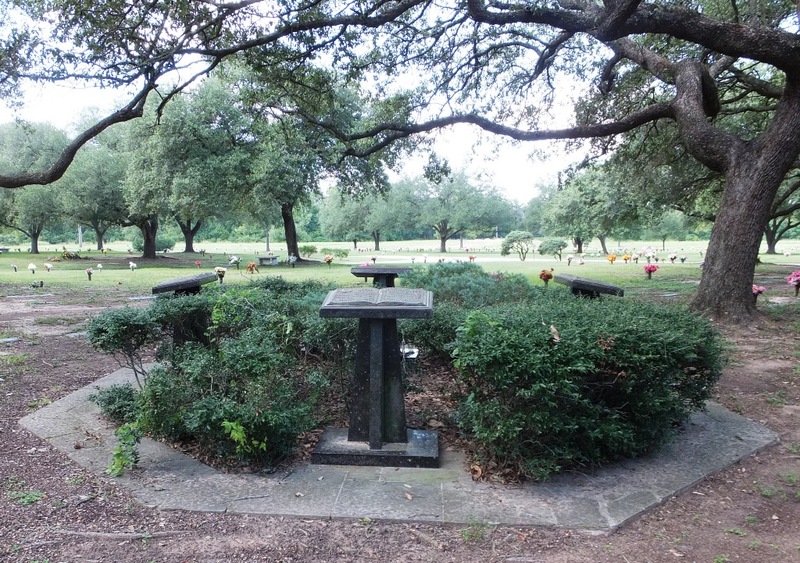 In a letter dated December 31, 1937 we found in the Texas Room of the Main Library, Brookside agreed to remove the remains of 85 bodies from the “old cemetery” (Allen Parkway Village Cemetery) on Buffalo Drive (now Allen Parkway) to Brookside for re-interment. The bodies were placed in a separate box container, placed side by side and buried in a 20’ x 20’ plot near the Chapel of the Chimes. The cost of this project was estimated at between $250 and $350. An advertisement in Houston Magazine (October 1944) announced Brookside had opened Houston’s first crematory. The location was given as “11 miles from the city on the Humble highway” (now I-45.) The facility is inside the Chapel of the Chimes. It remains one of the major crematories in the Houston area. 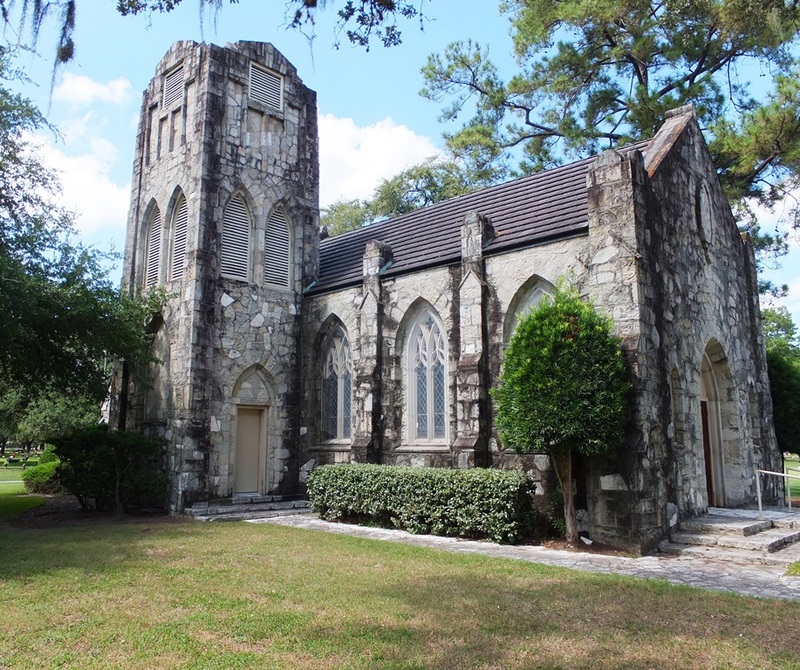 Chapel of the Chimes – This Gothic chapel was erected in the mid-1930s. The old Presbyterian Church located on Main Street downtown was destroyed in a fire. The stones used to build the Chapel of the Chimes were transported to Brookside from remains of the Presbyterian Church. 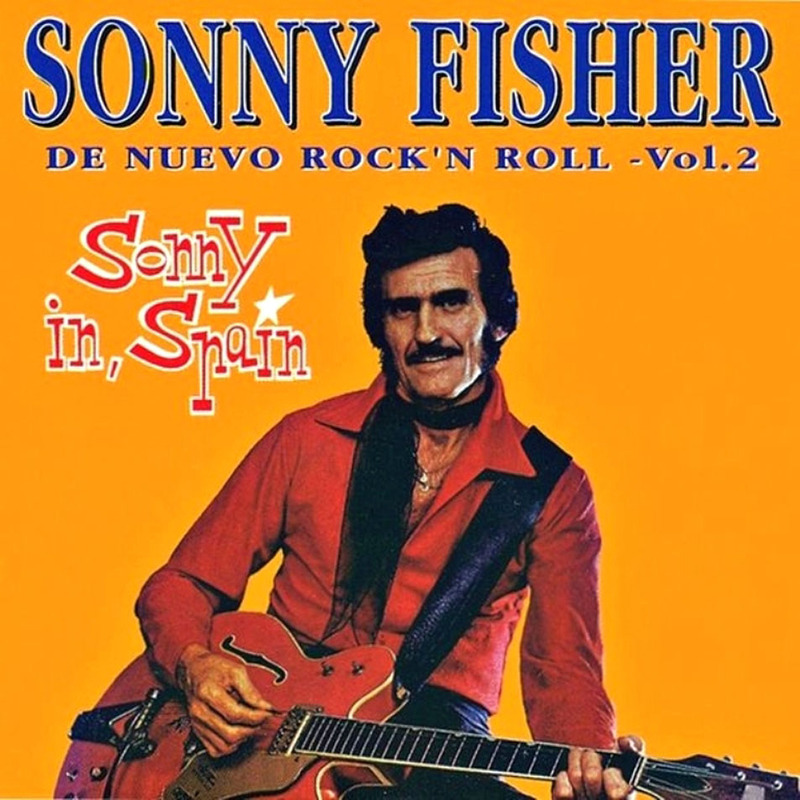 Fisher, Therman “Sonny” (1931-2005) – Rockabilly Musician – He was born in the small east Texas town of Chandler. 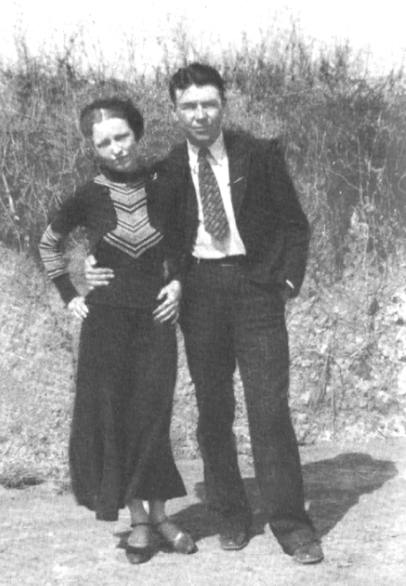 Fisher moved to Houston as a teenager where he developed a taste for country and early rock music, especially Elvis Presley. His trademark jaw length sideburns and huge pompadour were a copy of the Elvis look. He became known as the “Wild Man from Texas.” In 1953 he formed his own rockabilly band called the Rocking Boys. The group recorded four songs at Quinn’s Goldstar Studio (now Sugar Hill Studio); the most well-known title was Rockin’ Daddy. Unfortunately, the songs produced little royalties. Goldstar refused to renew their contract. He was unsuccessful in starting his own record label and gave up his music career in 1965. In 1979 he was rediscovered by an English rock promoter who aided Fisher in recording a successful album, Texas Rockabilly, in Europe. He had a short, comeback career in Europe for two years (1981-3) but again retired from the music industry. Fisher had one final shot recording. He joined Sleepy LaBeef in producing Rockabilly Fiesta in 1993. It was his final album. Freemason Memorials – Freemasonry is a worldwide fraternal organization that traces its origin back to the medieval Stonemason Guilds. The Society’s occupations are charitable work in their community, moral uprightness and the development of fraternal friendliness. Stephen F. Austin, Winston Churchill and George Washington are among some of the more famous Freemasons. The monument here has a life-size, bronze statue of George Washington dressed in his Mason’s vest. On the second memorial is a small copper Masonic Square and Compass, the Masons’ symbol. Giant Oak Tree – There are a number of huge oak trees in Brookside. 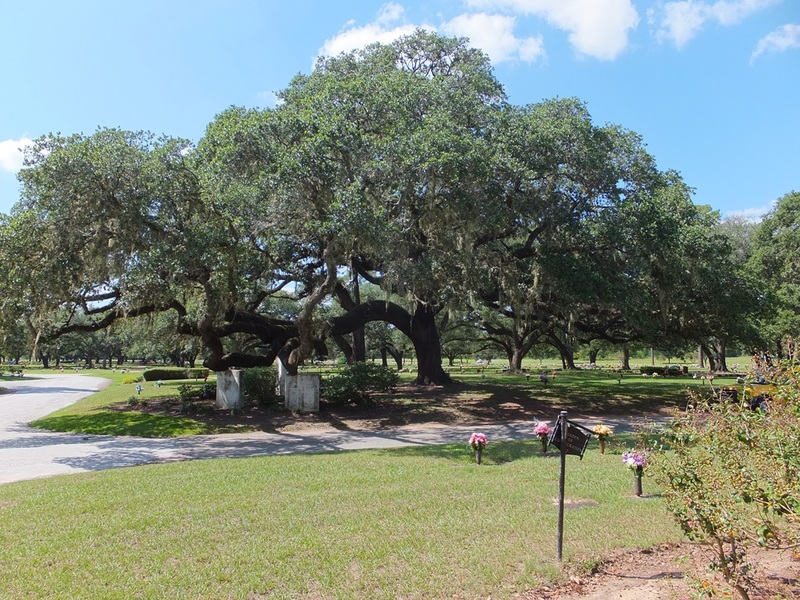 In the center of the cemetery is a gigantic oak that management estimates could be over 300 year old. Jones, William Daniel “W. D.” (1916-1974) – Outlaw – His fame or infamy, depending on one’s point of view, relates to his spending eight months as a member of the Clyde Barrow and Bonnie Parker’s gang, during a killing spree in the southern Midwest in the Great Depression. Jones was born dirt poor on a Texas farm. His family moved to Dallas in 1921 where Jones, age five, met Barrow, a juvenile delinquent who was seven years his senior. 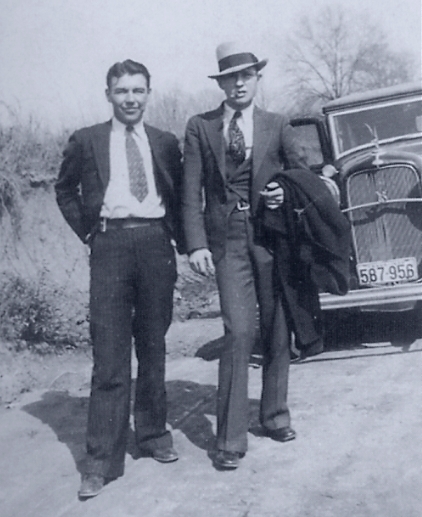 On Christmas Eve of 1932 he joined up with the gang that was already on the run from the law. The following day Clyde accidently killed a man in Tyler, Texas while stealing his car. Over the next few months the crime spree rambled from Missouri, Arkansas, Texas, Iowa, Nebraska, Minnesota, Mississippi and Louisiana. It was in Louisiana that Jones went AWOL on the gang, returning to Texas. 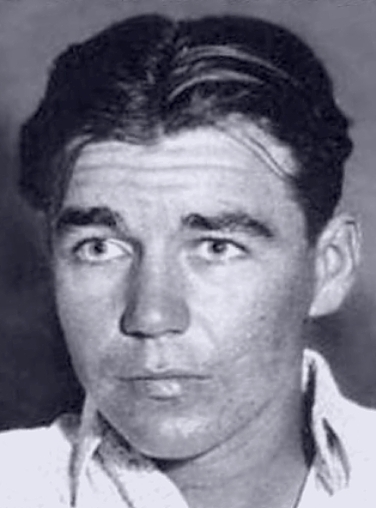 He was arrested and placed in the Dallas County jail where his was a prisoner on the morning of May 23, 1934 when Bonnie and Clyde were ambushed and killed in Louisiana. Jones was eventually tried as an accomplice in the Tyler killing, charged with “murder without malice.” Convicted, he was sentenced to 15 years behind bars. Paroled after serving six years in Huntsville State Prison, Jones returned to Houston. There he developed an addiction to pain killers and died of a blast from a 12-guage shotgun in a drug deal gone bad. Law Enforcement Memorial – This large granite memorial is a tribute to 11 Houston Law Enforcement Officers who were killed in the line of duty. Their names are inscribed on it. 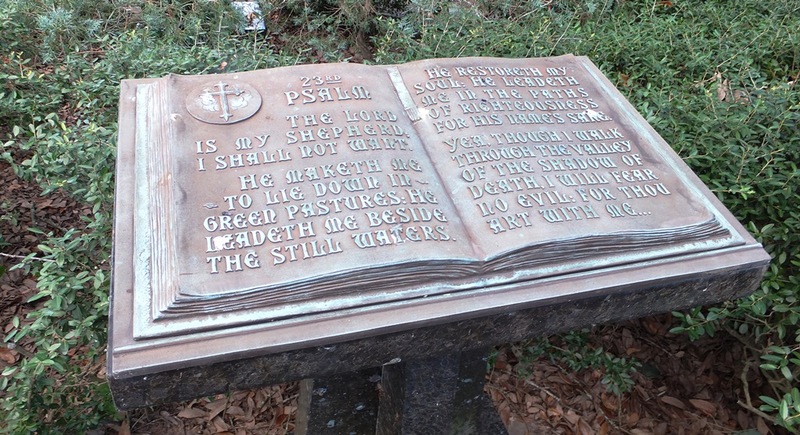 Psalm Monument – This memorial garden contains four bronze dieses. Each one has a bible opened to a biblical psalm. Spanish American War Monument – A tall flagpole is a memorial to the Alfred W. Drew Camp No. 18 United Spanish War Veterans. It was erected in 1937. A number of veterans of that conflict are interred in this plot. Tillman, William Wayne “Bill” (1947-2012) – Music Legend – This native Houstonian was a musical phenomenon. Tillman played piano at 5; guitar at 8; tenor saxophone, bass guitar and acoustic guitar at 10; clarinet and alto sax at 12. At 18 he was awarded “Texas’ Most Outstanding Musician.” During his career he toured with the Coasters, Bo Didley, Chuck Berry, Roy Orbison and Gladys Knight and the Pips to mention a few. 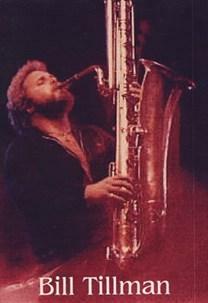 Tillman’s big break came in 1970 when he became saxophonist for Blood, Sweat and Tears. He recorded nine albums with BS & T. Retiring from rock Tillman returned to Texas and was the feature soloist with the Dallas Symphony and Dallas Jazz Orchestra. In 1981 he formed the Bill Tillman Band and performed in hundreds of venues around America. Tillman was a huge man, standing 6’ 4” and weighing over 300 pounds. He enjoyed tearing telephone books in half while on stage. Welch, Louie (1918-2008) – Politician – Welch moved to Houston from Dallas in the early 1940s. He opened an auto parts store and began investing in real estate. Welch developed an interest in politics and was elected to Houston City Council. He served from 1950-52 and 1956 until 1962. Welch unsuccessfully ran for Mayor in 1952 and 1954 but was elected in 1963. He held the office for five consecutive terms (1963-1974). 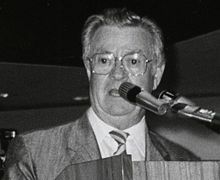 After retiring Welch was named president and chief executive officer of the Houston Chamber of Commerce, where he served until 1985. 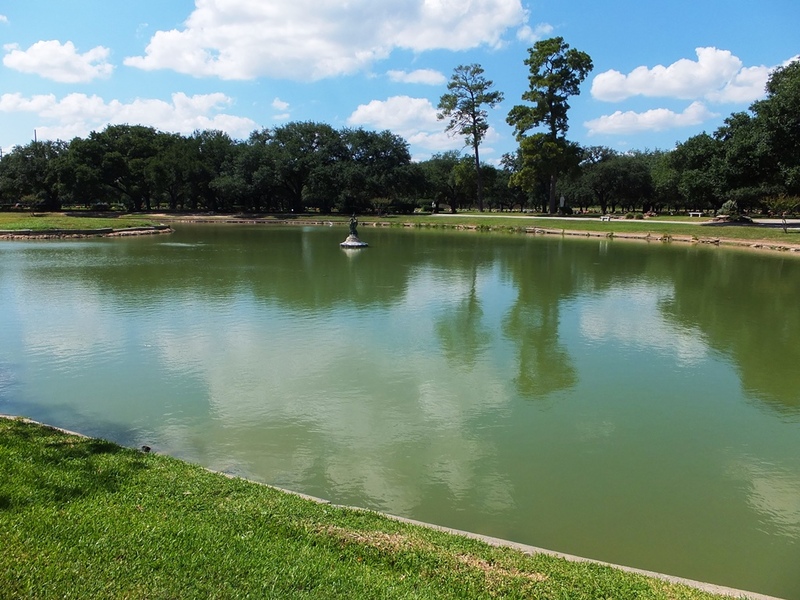 He is remembered for constructing Lakes Houston and Conroe that provide our water supply.